Chris Lane brings Laps Around The Sun on tour! 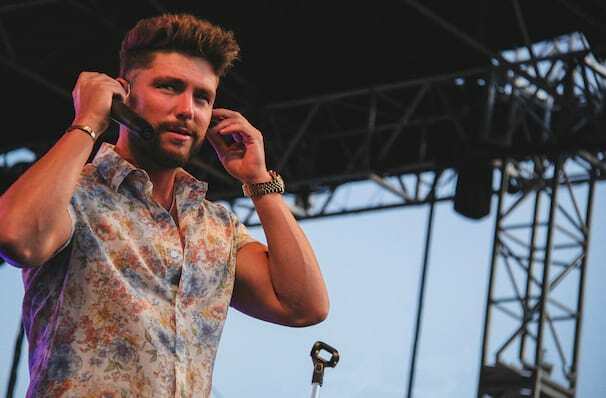 American country singer and songwriter, Chris Lane is hitting the road with his third album Laps Around The Sun. The tour, named after the album, will see Lane kicking things off in Florida before trekking across America and rounding things up in Philadelphia. Joining Lane on the road will be yodeling viral phenomenon Mason Ramsey, who took the world by storm and had a huge kickstart in his career with his rendition of Hank Williams 'Love Sick Blues', alongside American Idol contestant Gabby Barrett. Laps Around The Sun leans more into a more romantic outlook, compared to his debut album which was more R&B fuelled. The albums lead single, 'Take Back Home Girl' is currently sitting comfortably at number eight on the Country Airplay chart. Seen Chris Lane? Loved it? Hated it? Sound good to you? 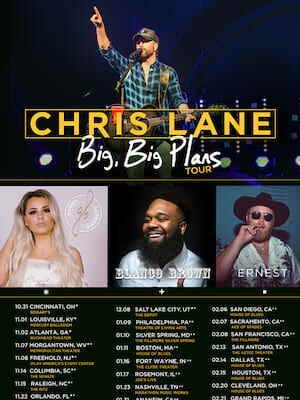 Share this page on social media and let your friends know about Chris Lane at Buckhead Theatre. Please note: The term Buckhead Theatre and/or Chris Lane as well as all associated graphics, logos, and/or other trademarks, tradenames or copyrights are the property of the Buckhead Theatre and/or Chris Lane and are used herein for factual descriptive purposes only. We are in no way associated with or authorized by the Buckhead Theatre and/or Chris Lane and neither that entity nor any of its affiliates have licensed or endorsed us to sell tickets, goods and or services in conjunction with their events.